This cabin offers a beautiful lake view from the Livingroom, large kitchen, 3/4 bath and 2 bedrooms. Livingroom includes Futon, 2 chairs, 1 recliner & Color Cable TV. Kitchen is furnished with dishes, pots, pans, drip coffee maker, toaster, utensils and microwave. Two Bedroom Cabin. Full size beds, dressers and closets. Bathroom - 3/4 bath = shower. Dock space or 14' Lund included. 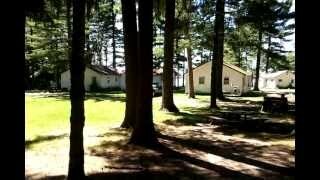 We are the most desirable accommodations on the fabulous Chetek Chain of Lakes - Chetek, Prairie, Pokegama, Ojaski, Ten Mile, and Moose Ear Lake. Friendly and courteous service that will make you feel at home. 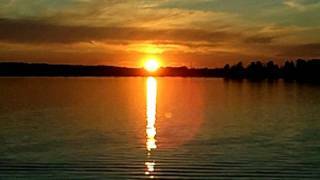 Lakeside Sundeck situated on the eastern bank of the beautiful Chetek Lake. Excellent fishing, outdoor life and complete relaxation in the Virgin Pines. WI FI available. Chetek-it-out! May 1-Oct 1. Liberty Fest. Brew Fest. Harvest Fest. Winter Fest. Seasonal Recreation. Fishing. State & County Parks. Golf Courses. A place where families and friends can go to build lasting memories. Call for early and late seasonal discounts. Mention RentWisCabins.com!